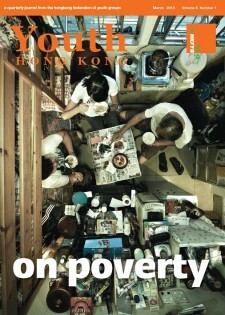 Youth Hong Kong focuses on specific themes which are central to youth, adolescence, family life and youth services in the city. Readers are mainly in the educational sector, in government and NGO services for youth, including research and counselling. Distribution is to Hong Kong, mainland China, throughout Southeast Asia, and further overseas. Interviews with academics, professionals and other experts are balanced by youth views, writing and poll surveys.